Every sumph that has been to schule and college, can read books; there’s naethin’ extraordinar’ in that. But every sensible man has a book in his ain heart and mind, that’s worth a’ the leeberaries in the world … Leeberaries ye can exhaust … but the mind is like a magic well, that yields all things, if only ye hae discretion and patience, and work deep eneuch. Throughout his life, James Hogg identified closely with Robert Burns and with some justification regarded himself as his natural successor. Unlike the ‘heav’n taught ploughman’, who had in fact received a good education, the extent of Hogg’s formal education amounted to perhaps two or three winter’s schooling in Selkirkshire. At the age of seven his schooling stopped and he was required to work as a herd-boy after his father, a small tenant farmer, went bankrupt. Hogg, then, was an autodidact, like many Scottish writers before him and many after him. Even in the twentieth century there are writers such as MacDiarmid and Spark who did not have the opportunity to benefit from a university education, yet were none the waur of that, nor were they impeded from producing work of genius. 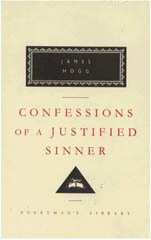 Though attitudes in the nineteenth century were different, Hogg’s lack of formal education was considered a disqualification to greatness, at least during his lifetime. And after his death, what works of his that were republished were thoroughly sanitised to conform to the mores of the reading public of the Victorian age. By the end of the nineteenth century, Hogg was regarded as a minor, peripheral, regional writer and it was not until the 1940s when his Confessions were ‘rediscovered’ by André Gide that the label ‘genius’ was to become affixed to his work. More recently, through the publishing projects of the universities of Stirling and South Carolina, Hogg’s complete works are becoming available and he is taking his place among the major writers of the British Romantic period. Hogg’s earliest productions were poems and songs in Scots, set ‘to his own music for communal performance by local friends and acquaintances’. 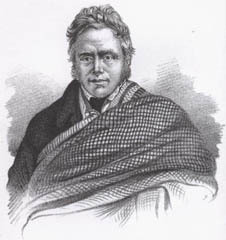 Hughes (who cannot be said to be James Hogg’s hagiographer), comments that ‘in sharp contrast to the local informality of his songs, he also wrote some stultifyingly formal and derivative poems in response to his reading of standard eighteenth-century works’. 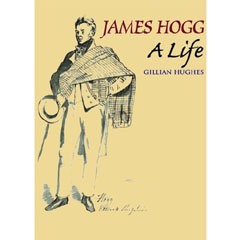 Not a critical biography, James Hogg: A Life, is minutely researched and locates the writer in the social, economic and cultural contexts of his time. Its defining characteristic is in the particularity of detail that Hughes provides about the publication and reception of Hogg’s works, from ‘Jamie the poeter’s’ first published poem, which appeared in the Scots Magazine when Hogg was in his early twenties, to the last pieces he contributed to Fraser’s Magazine, shortly before his death in 1835. Hughes throws remarkable light on the Edinburgh and London publishing scenes of the time, and on the new age of periodical literature that swept across Britain and North America (where several of Hogg’s works were published, though not to his pecuniary advantage, as they appeared in pirated editions that UK copyright could not protect). Over the course of three hundred pages, Hughes pieces together the double life that Hogg led, as farmer and writer, and describes the precariousness of both. Both the fact and the fear of bankruptcy seem to have been constants throughout his life; in Hogg’s adult years, agriculture was in an almost permanently depressed state, and stock and wool markets were most often ‘ruinous’. Hogg himself was declared bankrupt, avoiding eviction and ruin only with the help of farming and literary friends. All this Hogg experienced on the farming front, while engaged in the equally uncertain business of writing. Several of Hogg’s own publishers went bankrupt, depriving him of income from sales and royalties. Such acclaim as he received for his literary work was never matched with commensurate financial rewards. It was a case of ‘honours without profits’. At his death, his widow and their five children were left destitute, though some financial provision was made by friends. Hogg’s life took place between two worlds, that of the labouring-class community into which he had been born and that of the professional literary men where his talent and determination placed him. He was born into a traditional oral culture and lived to see the beginnings of a mass culture, of a widening franchise and cheap penny papers. He told of ancient superstitions and social customs by means of the latest developments on print culture and publishing, and died only shortly before the age of the photograph… His writing was the natural expression of this double vision, with its multiple viewpoints and rapid and unpredictable shifts of tone… The instabilities and uncertainties of Hogg’s work, so unsettling to the Victorians, are now increasingly attractive and interesting though no more comfortable than ever they were. He is now viewed as one of the most important Scottish Romantics but also inspires the work of living writers.